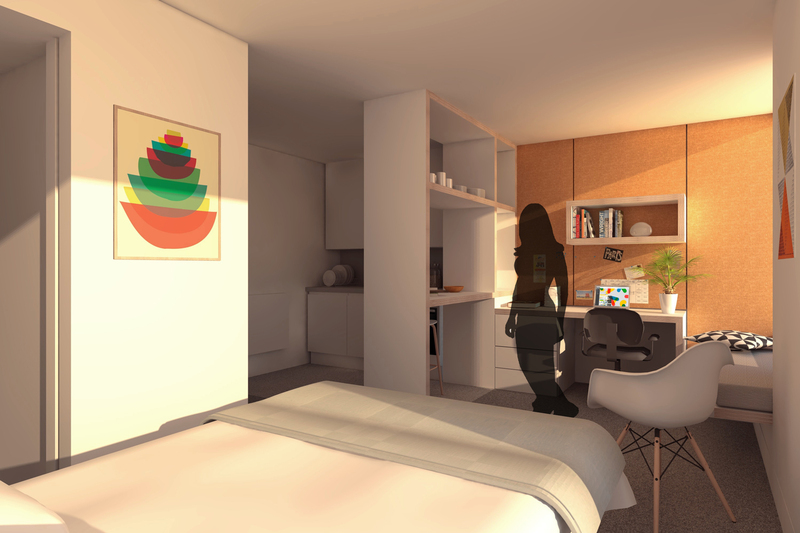 High-quality student accommodation to support Arts University Bournemouth’s growing campus at Wallisdown. 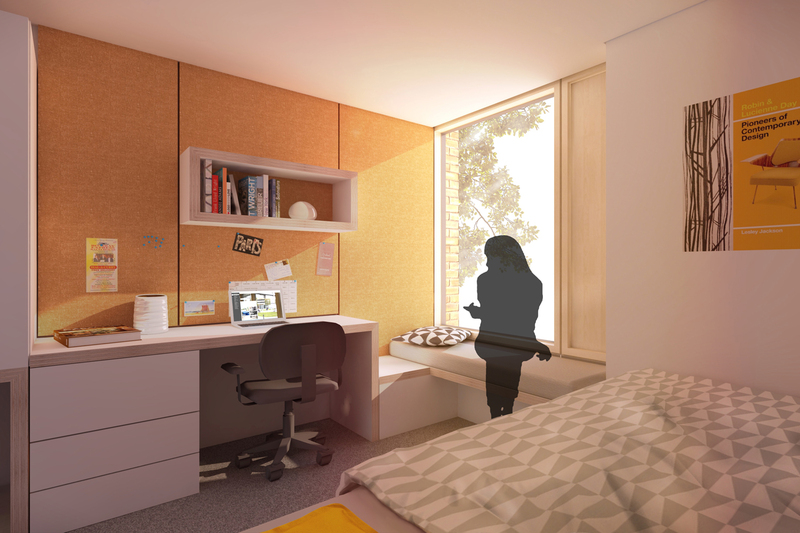 This project has emerged from the growing demand for high-quality student accommodation to support Arts University Bournemouth’s growing campus at Wallisdown. 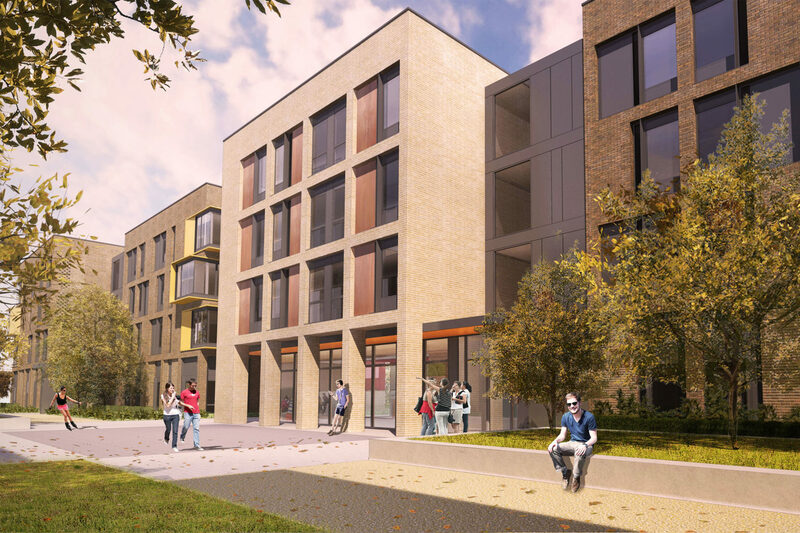 The subsequent proposals represent the next phase of development to be implemented from the university’s outline masterplan approved in 2016, following on from the successful refurbishment of a number existing campus buildings. 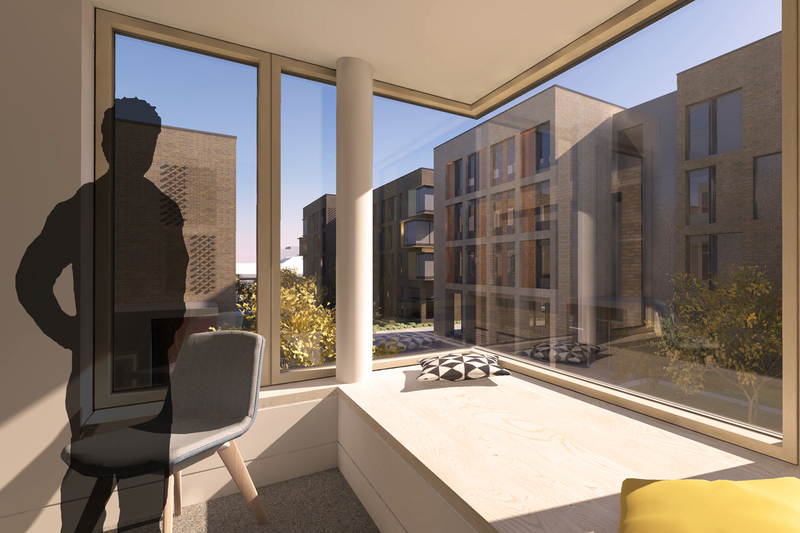 The 9,200 m2 project will provide 297 bedrooms, 269 of which will be delivered as cluster flats sharing a communal kitchen area, 23 as studio apartments with their own kitchen facilities and 5 as accessible studios. 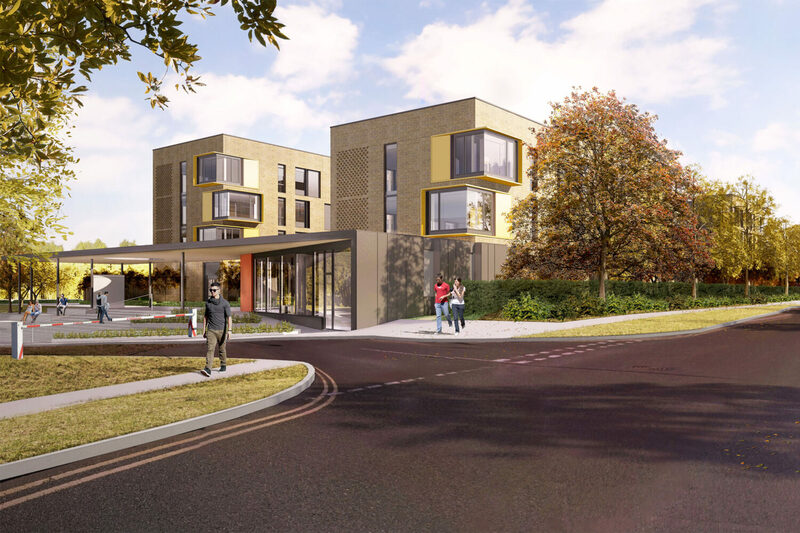 The site is located on land immediately south of the existing Wallisdown campus, offering immediate proximity to the existing campus buildings, while including infrastructure upgrades that will improve connectivity to the wider cycle network and future Bournemouth University Bus Hub. The accommodation is set out in a series of staggered linear blocks, running north-south along the site. These buildings line either side of a newly-created pedestrian street which has been introduced to encourage a sense of community and create social spaces at ground floor. By offsetting each cluster flat block, the pedestrian street is divided up into a series of routes and squares, each with a different character and composition. This environment is reinforced with an extensive landscaping scheme that includes a mixture of hard and soft finishes and planting throughout. 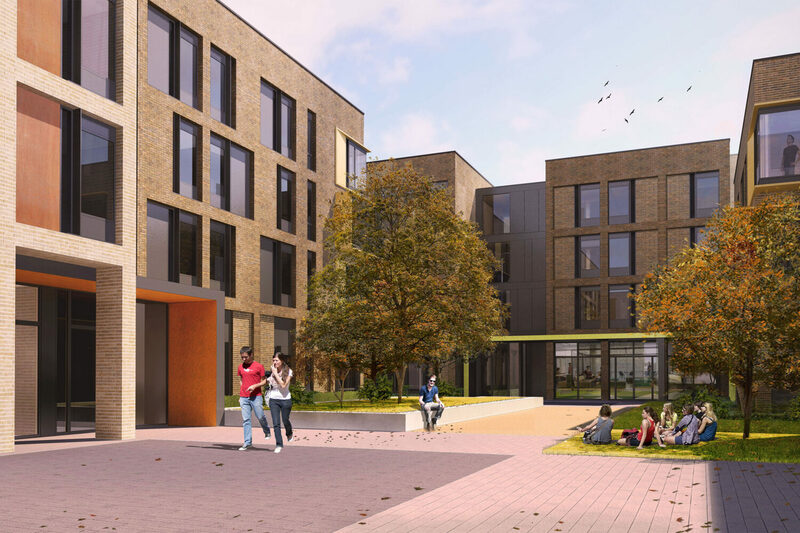 The proposal embraces a 1.5m level change between the existing campus and site by introducing a generous set of entrance steps, with an integrated accessible ramp, terraced seating and planting. This key transition space condition is framed with a horizontal canopy that extends out from a new communal reception and security building. 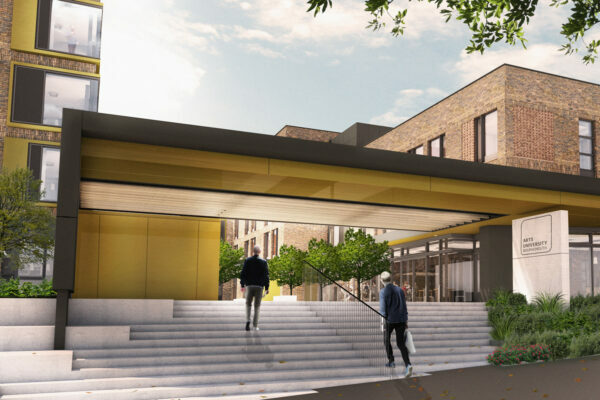 The canopy acts as a portal between the existing academic buildings and new residential quarter, and provides an enhanced arrival experience to the campus as a whole when entering from Fern Barrow to the West. The project’s architectural approach is set out to clearly articulate public and private spaces throughout the buildings. The cluster flat blocks are treated with brick facades and muted aluminum cladding panels, referencing the recently completed Student Services building within the campus. 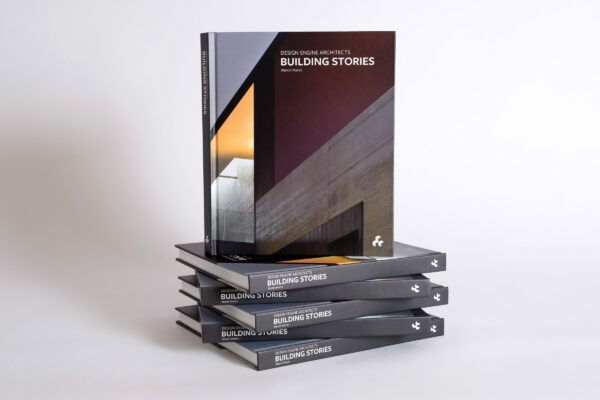 Recessed windows, sections of projecting brickwork and variation to the mortar colour and brick stock enhance the buildings’ envelope, while retaining a language that reflects the private nature of the bedrooms within. At the corner of each cluster flat, brass-clad projecting bay windows provide a strong contrast to the brickwork, defining the communal kitchen spaces. Each corner window contains an expansive window seat that helps to connect occupants with the street below. 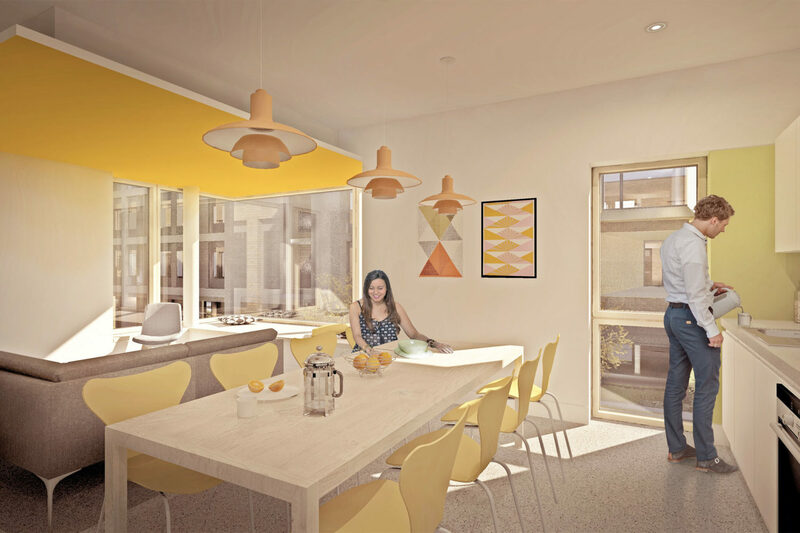 Communal spaces at ground floor are equally designed to contrast with the elevations in which they are inserted. These elements are defined by projecting canopies, clad in a range of brightly coloured aluminium panels, and large expanses of curtain walling to define transparent, open spaces that are accessible and welcoming to all. The project will introduce a significant amount of planting, with numerous semi-mature trees and shrubs introduced to create a woodland boundary along the perimeter of the site. 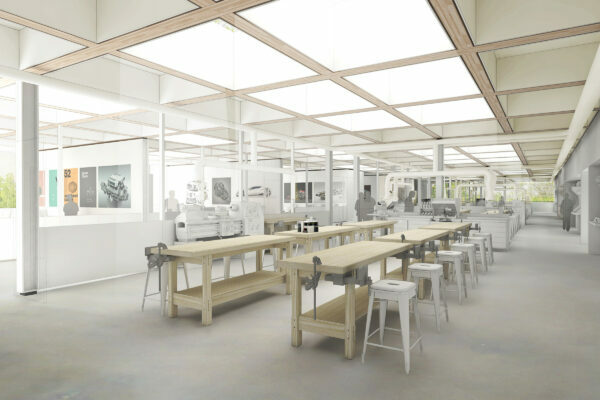 This will serve to enhance the boundary of the campus and enable the new buildings to integrate into the surrounding context of Talbot Village. 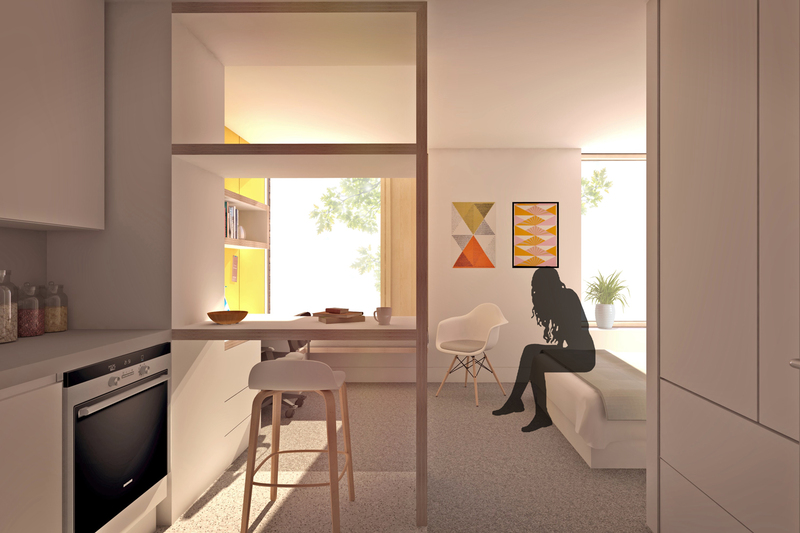 The new AUB student accommodation is scheduled for be completion by Summer 2020.